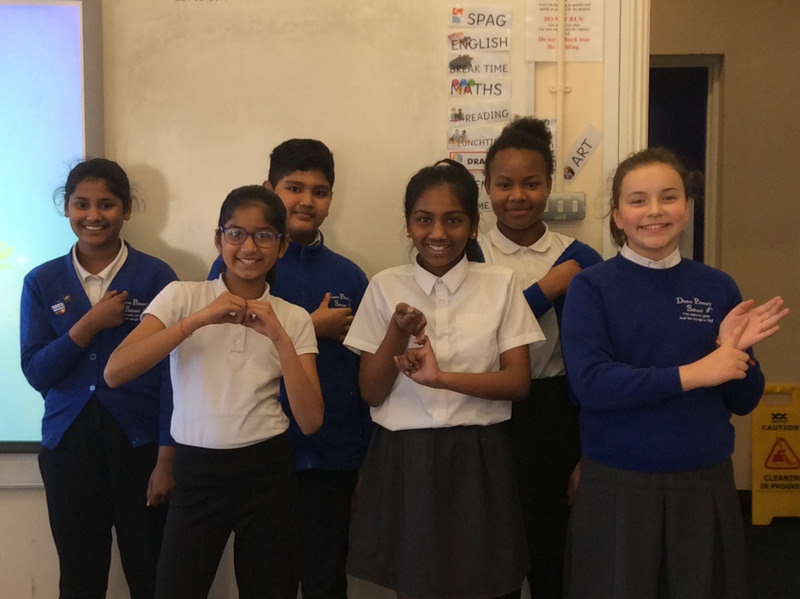 Last week (18th – 22nd March), children and teachers at Drove Primary School were challenged by their BSL ambassadors to learn a few signs and celebrate Sign Language Week. Sign Language is known as the language for the Deaf, yet the ambassadors feel anyone can learn, so they can communicate with Deaf people and support other people who cannot speak. There are lots of advantages for using Sign Language when it is challenging or impossible to use the spoken word, such as in noisy places, through a window, in places where talking is not allowed, like the cinema, and even underwater. So last Monday the challenge for the week began! Reception children were challenged to learn the fingerspelling alphabet, Key Stage one were given greeting, manner and emotion signs and Key Stage two were provided Deaf awareness signs. Throughout the week the children also learnt about the three main skills, which are handshapes, facial expressions and body language (particularly the shoulders). 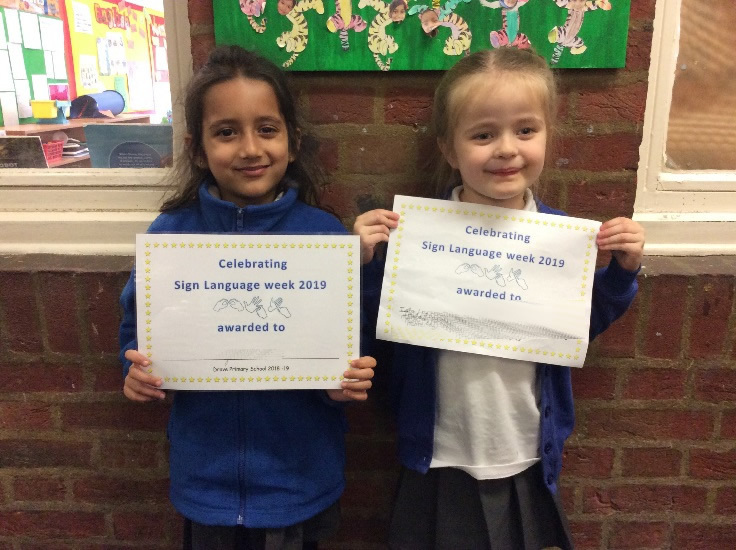 There was a buzz of excitement as they practiced signing ‘Good morning’ and ‘Good afternoon’ in the corridors and sharing signs they were learning with our Deaf member of staff and other signing staff. On Friday, the ambassadors presented a special assembly where they shared their thoughts and facts. 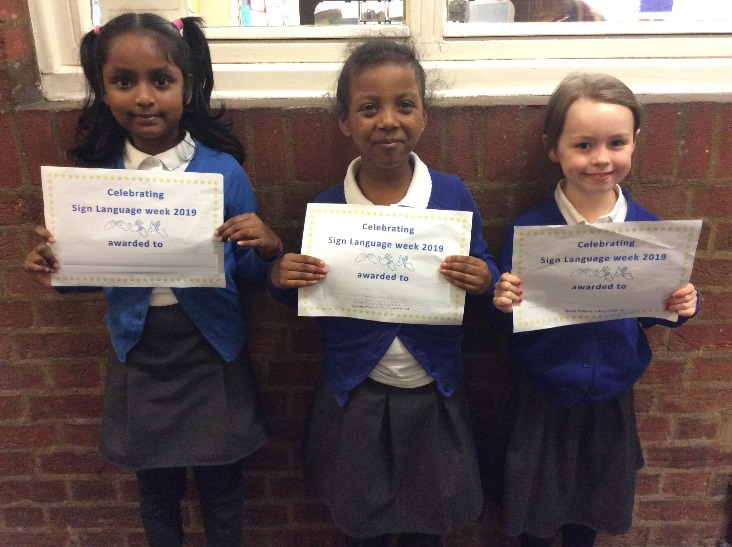 A few Reception children showcased the fingerspelling alphabet before everyone got ready for the challenge. Each year group were challenged per class and the winning class had a teaching staff representative come to the front for the ultimate challenge - win House points for their class. 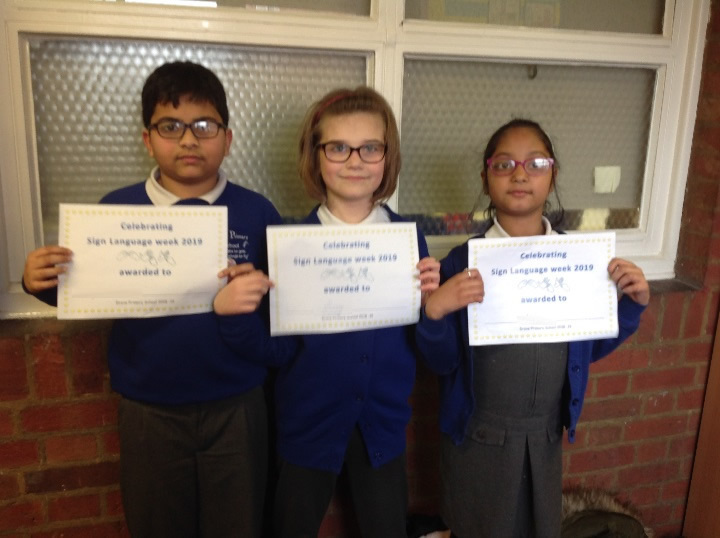 Everyone were amazing and it was a difficult task for our ambassador judges however we did have two winners with Miss Price for Key Stage one and Mrs Adams for Key Stage two. To top off the week, a celebration was had for individuals who worked hard all week learning their new signs, helping others and not giving up. 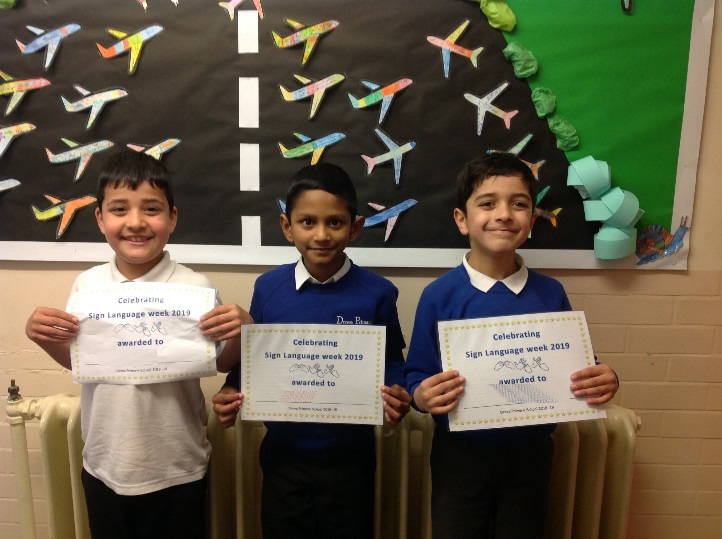 Hats off for the hard work from the ambassadors 2019, organising the tasks and challenges for the school community and to the amazing school community for embracing a new language to support others with communication. You can see our ambassadors and future ambassadors in the gallery below. Some amazing comments from the children.